Ford has a partnership for manufacturing with many third party parts makers. One of these is Borg Warner and they create the transfer cases that Ford uses in its vehicles. The Ford Expedition transfer case that you need could be one of several versions. You can identify it with the letters BW before the part number. If you do not have the part number, we can explain the numbers that we have available. We have BW4406, BW4412, BW4416 and BW4417 in our inventory right on the www.transfercasesforsale.com website. You can stop searching Google for what you need because we can sell it to you for less. The expedition is a complicated SUV. It is a full-size sport utility vehicle and not one of the crossover models. The parts are very powerful and many can break easily because of excessive wear. Fluid is what protects the components inside of the transfer case and leaking fluid is probably a sign of failure. Changing out this fluid is usually too late and might buy just a little extra time but we know better. If you have a drive train unit in this condition, finding what you need can be troublesome if you try to buy something on an auction site. What about a warranty? What about shipping? Will I get the right part? Those are all important questions we have answers to. 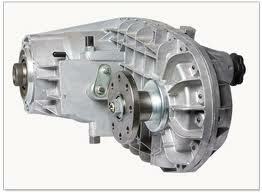 A used transfer case, sold from a great dealer, can power your 4WD for a little while but not forever. This is why a used transfer case is often cheaper. We have quality used transfer cases for customers that use these, but we feel that it is so much better to purchase a rebuilt one. What you get is something that you can be proud of and you will have the assurance that thousands of extra miles can be put on one. What goes on in our transfer case shop is nothing shy of perfection. It takes a long time to complete one rebuild and we have dedicated employees that just do rebuilds here each day. What goes into a rebuilt transfer case is just as important as how it gets installed. New couplers, chains, bearings and gaskets are what we put into each Expedition drive train unit that is rebuilt. The parts that are not changed are cleaned up and this extends the life of these parts. Combined with new OEM parts, what we end up with is transfer cases that are just as good as anything Ford produces on a daily basis. We are professionals and have been in this industry for many years. We’re not here today and gone tomorrow. We will be selling to customers tomorrow. You can literally do everything you need on this website. You get a quote, answers to your questions and the expert help of our professional staff. Use the quote form we have created to get the lowest Expedition transfer case price. Our prices normally include shipping unless we write differently. Call our toll free number at (888)-508-7153 if you need live help for any reason. Let’s create a seller-customer partnership together. What do you say?